Clients meet and get to know gorgeous ladies during our group tours. If you are looking for true love and serious relationships with women who are open to and eager with the idea of marriage. And if, at the same time you love to travel, then you should definitely sign up with us. Foreign Affair is one of the largest and most reputable online international dating agency. Founded in 1995, it has been in the industry for more than twenty years with offices located in different parts of the world. The company houses over 40,000 of profiles of gorgeous women eager to meet the love of their lives. The main objective of our company is simple. And that is to help you meet the person you might just spend your whole life with. Our company focuses on this goal while incorporating a sense of trust and integrity in achieving it. We have been the answer to more than hundreds of men in search for their potential brides and lifelong partners. Through our famous singles tours, we provide each men who sign up with us various opportunities to talk and interact with real women who are truly looking to settle down with foreign men. Both men and women are given the chance to find their soulmate through these romance tours. We provide an avenue for men and women to get to know each other more face to face in a much more personal level. Foreign Affair serves as the middleman for men and gorgeous women, from Europe, Asia, and Latin America, who have the potential as a romantic couple but do not have the opportunity to take it to the next level. Ultimately, we turn online connections into real physical experience. We have been doing this for so many years and we have succeeded so many times. So if you want to be one of the lucky ones who get to meet gorgeous marriage-minded women from Europe, amazing Latinas and beautiful exotic ladies from Asia, register here today. Foreign Affair help men meet gorgeous ladies all over the world. Foreign affair holds over 40,000 profiles of beautiful women from different parts of the world. These gorgeous ladies are eager to be in serious romantic relationships and have enlisted our services to help them meet men like you. With us are women from Europe, specifically from Russia and Ukraine; Asia: Philippines, Thailand, and China and Latin America: Costa Rica, Colombia, Peru, and many others. These gorgeous looking women are also looking for real love that would last a lifetime. They are open, if not eager, with the idea of settling down and being able to marry someone who perfectly matches them. 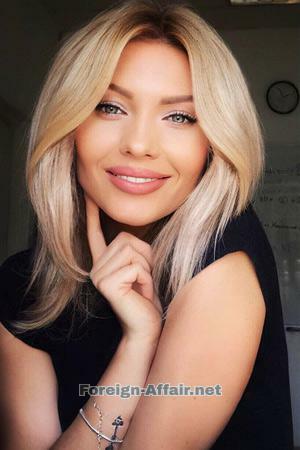 What sets apart our ladies from other online matchmaking agency sites is the fact that women from Foreign Affair have been verified by our staff. That said, we can assure you that these gorgeous faces truly exist and are genuinely wanting to meet the potential love of their lives. Moreover, clients are given the opportunity to actually meet and see these ladies face to face for them to establish deeper connections that is needed to take things into a whole new level. Foreign Affair helps men meet genuine foreign women which can be very beneficial for both sides in the social aspect. This chance presents an opportunity for an exchange of knowledge about culture, among many others, to take place. We help men reach out to women through various methods such as the option to send them flowers, call them, or send a message. And finally, we offer romance tours which serves as the avenue where our clients and their potential brides are able to meet. Moreover, while the ultimate goal for every client is to finally get in touch and meet with the woman of their dreams, Foreign Affair also gives another benefit and opportunity for clients and that is the traveling experience that comes with the romance tour arranged and hosted by our company. Our company, therefore, not only allows you to meet potential brides, you will also get the chance to travel around the cities where your soulmate might come from. Clients get to visit the beautiful beaches, historical sites, and other fun places each different country has to offer. Aside from this, our company also provides social events filled with good food, fun games, and a lot of laughter from our clients and the gorgeous ladies who are with them. Foreign Affair aims to hit two birds with one stone by giving our clients the chance to meet beautiful potential brides and allowing clients to travel and have fun as well.